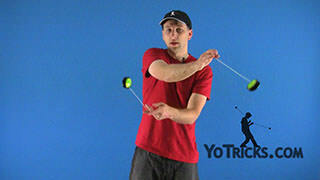 Rhythm and Tempo terminology video for two handed looping tricks. 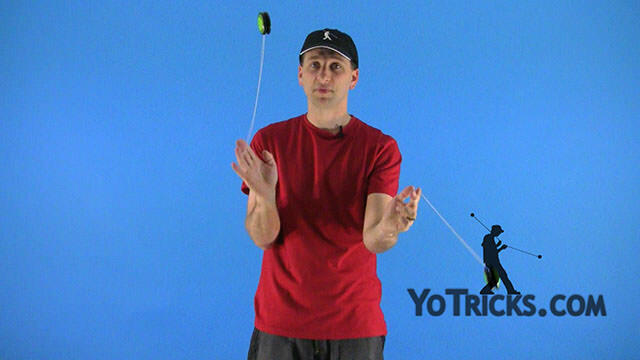 2A Terminology: Rhythm and Tempo Yoyo TrickAs we get into 2a, it is important to understand the concept of rhythm and tempo as it applies to 2 handed tricks, so we will be borrowing some terminology from another dual handed skill toy called poi. 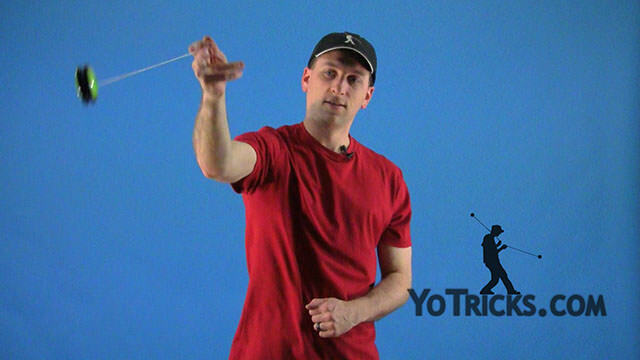 Rhythm is the pattern of space between beats, or when talking about yo-yoing we are talking about the structure of both yoyos’ movement and timing relative to each other. Tempo as opposed to rhythm is just the speed of the beats. When thinking of an around the world as if you want to increase the tempo, you just increase the beats per minute, if you want to decrease tempo, or have a slow tempo, slow down and decrease your beats. When talking about tempo you want to make sure that you keep tempo the same, in order to talk about rhythm, you can do the trick as fast or as slow as you like, just keep the tempo the same if you want to have your rhythm be consistent. Assuming same tempo, the three terms we will borrow from poi, are called same time, split time or half time, and quarter time. So a good place to define and get a feel for these three terms will be in the trick Around the World, so the way to think of the Around the World. So the way to think about the Around the world now is not just going to be thinking of a full Around the World as one beat, we are going to need to be define each around the world in 4 beats instead. So think of the first beat as in front of you, the second is up top, the third beat will be behind you and then the fourth beat will be towards the ground. 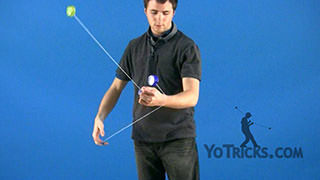 When you are defining Around the Worlds with the same time timing, you want to think of the yoyos as completely in phase with each other so on the first beat, the Around the Worlds will be matched up and then the second beat too, third beat, and fourth beat, the yoyos will be in the same place at the same time. 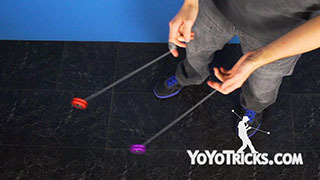 When you are thinking about Split time, you want to have the yoyos separated at 180 degrees from each other so that would mean that when one yoyo is in front of you then one yoyo is behind you, when one is on top, one is on bottom and vice versa. 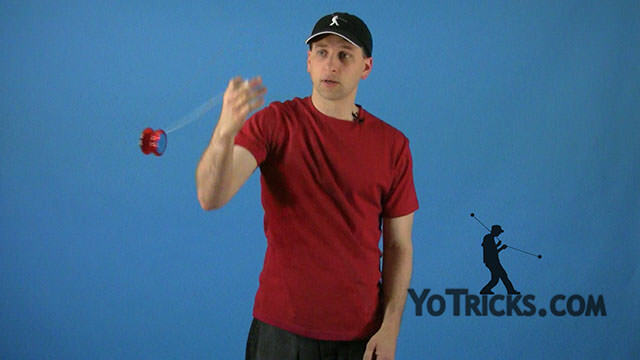 When you are thinking about quarter time you are going to have one yoyo 90 degrees out of phase with the other or think of it as one is ahead by 90 degrees and that would be your lead yoyo. When you are in quarter time, you can think of it as either your left hand is the leader, or your right hand is the leader. 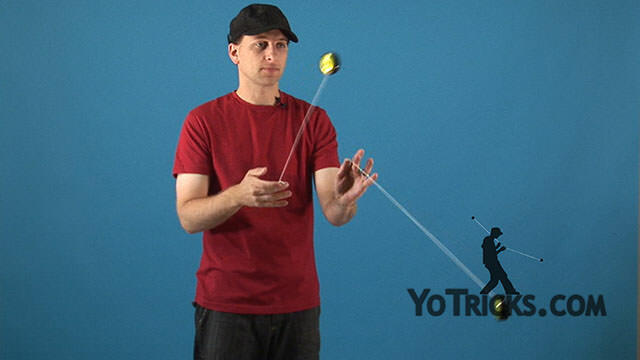 So now that we have defined the terms in Around the World, we are going to want to get our practice and our feel of the rhythm in Around the World and the way to start that is to practice with the yoyos dead as the easiest option. So you’re going to be working on it as though you are a poi player learning same time, learning quarter time and learning split time, in Around the Worlds without them spinning. 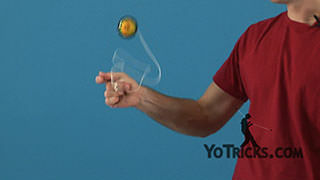 But since we are 2a players, we are going to want to learn how to do it with them spinning, so the way to start that will be just practicing one repetition of Around the World in same time, once you get used to that, go ahead and try doing 2 repetitions of the Around the World and keep on building up in baby steps. Eventually you are start to feel out that there is a bit of a difference between your weak hand and your dominant hand, your weak hand usually has a tendency to have a slower tempo and after a few repetitions it will become apparent and it will seem like you are transitioning into a different rhythm. Once that happens you are going to want to back track and then start over with a split time rhythm, instead so you are just going to practice the split time rhythm one repetition and you will keep building that up until you eventually master the trick and do it indefinitely and then backtrack and start learning the rest of the Same time so that way you can do that indefinitely as well. However in Around the World we also have quarter time so we are going to need to find a way to intersperse that in our progression of learning the timings, so at any point in time, once in a while try to figure how to do the Around the World in quarter time and eventually it may click. 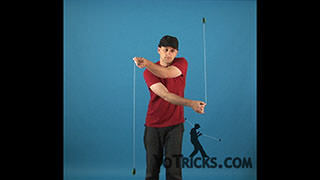 For some players it may be really easy to pick up, for others you may have to master the other two rhythms before you can even work on this one, so it all depends on when you want to do it. So just every once in a while check on that. The way to practice quarter time is going to be just start out learning Forward Tosses in quarter time, so it is going to be throw throw catch catch, throw throw catch catch. Then once you get used to that then you can try one Around the World in quarter time so it would be throw throw rest rest catch catch, throw throw rest rest catch catch. So once you have quarter time down then you have mastered the three concepts in Around the World and you can then start applying them elsewhere as well. So the next sensible place to apply this concept of rhythm and timing is going to be in your two handed looping. So start off learning two handed looping in same time, then once you are a few repetitions into it and you start seeing your weak hand start to slow down and start to change the timing of the trick, then start over and work on it in split time and keep on practicing it until you are able to do it indefinitely there, then backtrack and go onto same and keep practicing that until you can do it indefinitely here as well. 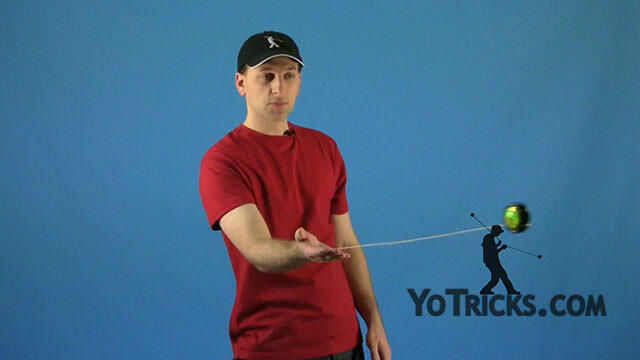 This is all to help you practice your way making sure that when your weak hand is slower in tempo, you are practicing your way into making sure your weak hand can come up to speed with your dominant hand. 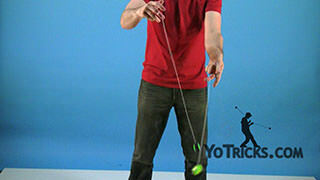 After you are able to do you will notice that when the yoyo is in this basic motion like this, it is kind of different than the Around the World so there is not really any sense of having four beats in this trick so there is not really a quarter time to work on in this trick, so just avoid working on quarter time in two handed looping all together. Once you are able to learn it in two handed looping this also applies when you are learning Milk the Cow, this also applies when you are learning Punches and it also applies when you are learning Vertical Punches. 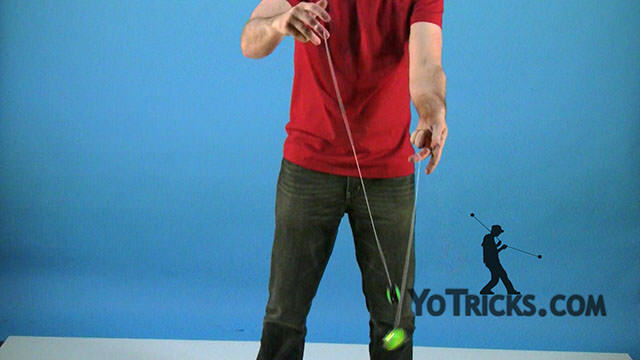 All these are what we call one step looping tricks where it is just is just one looping continuous motion and it only takes one step to do. 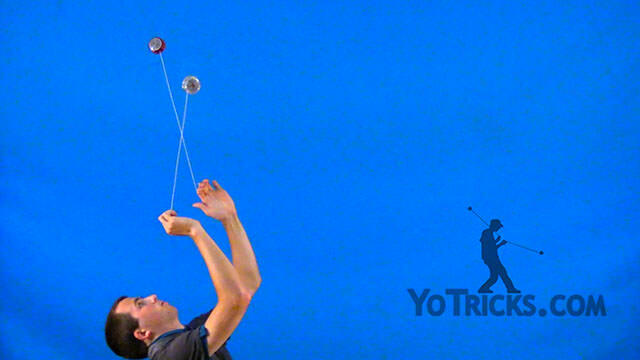 It is going to be different when you are learning your different two step tricks, which will be your Flips, which will be your Stalls and even Shoot the Moon. Now these are two step looping tricks because the trajectory of the yoyo is changing over the course of the trick. 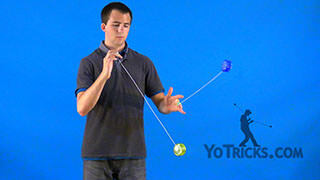 You will notice that when I do flips the first time the yoyo comes back towards my hand the yoyo is going to pass in front of my hand and then go on the inside of my hand, and then when the the second step comes in it is going to come from the inside of my hand and go in front of my hand and those are considered two different steps, so on the second step it could be a mirror image or it could be a completely just come completely different step. 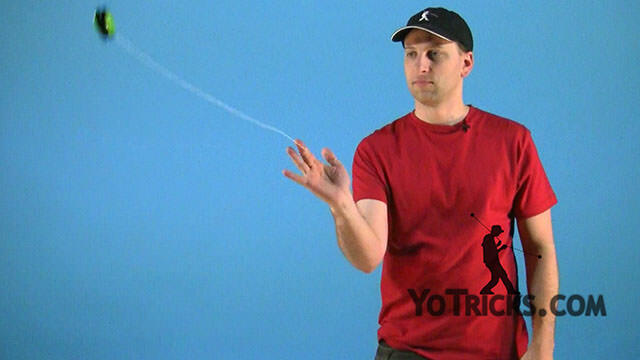 When you have you two step tricks, the approach is going to be different in terms of learning your timing and so with these two step tricks you want to make sure that the yoyo is completely lined up every single time straight up and down and that can be really tough to focus on and with the different timings it is going to actually be easier to learn these tricks in quarter time. Once you learn how to do it indefinitely in quarter time you can then start thinking about how to learn it indefinitely in same time and then in half time as well. 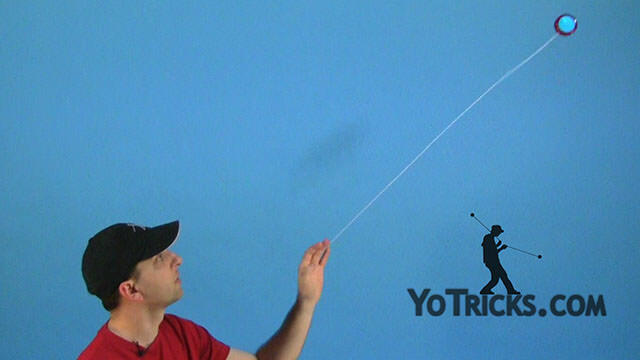 Usually same time is easier in these types of tricks, but for some players it could be easier to learn half time before some time; or you could learn them both as you go along. As you are doing these two steps tricks and these one step tricks you will notice that if you combine a One step trick with a two step trick you will see that there is just two different tempos going on and it is really hard to establish what is considered a rhythm so you do not even need to think about rhythm when you are combining a one step trick with a two step trick you just need to think of having a one step trick just be constant and moving and going, and just think of the two step trick as its own tempo and just focus on keeping the yoyos straight and focus on that tempo. For those that are working on warp drive, this will be a good approach to do it. 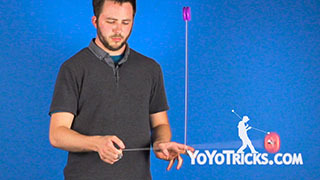 Just start in same time loops and go into same Around the Worlds and go back into same time loops and you will just keep on practicing that until you are capable of doing one Around the World per one set of Loop and you want to be able to establish that rhythm and get it consistent about three or four repetitions. 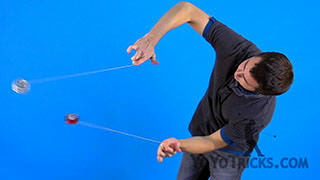 Once you are able to do that, then go into Split Time loops and regen into Around the Worlds back into Split time Loops, you will notice that the Around the Worlds are actually in quarter time while the loops are in Split time, which is a pretty radical concept but your hands are going to feel it out pretty easily, once you are able to do that where you have the quarter time around the worlds lead by the left hand and you can do that indefinitely and then you can do it the same way with the right hand leading and you can do that indefinitely, then you are going to want to work on half time, which is definitely the hardest version of Warp Drive, the way to start that is going to be starting in same time loops and then you are going to regen one into an Around the World and then you are going to do one loop with the other hand, once you do that loop with the other hand, that one goes into an Around the World and then you have established Half time from there. 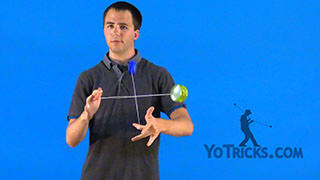 In order to continue Half time you are going to want to regen the yoyo as it comes around, then the half time warp drive will eventually show up, but it is still a pretty tough concept to get so you are going to want to learn it one repetition and just learn in baby steps and get it one step at a time until you are able to do it indefinitely. 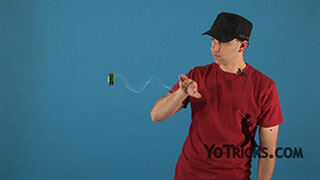 Those are good approaches to most of the main concepts of two handed yoyoing, there is one more thing to think about in terms of rhythm and that is if you want change rhythm while you are in the middle of the trick without needing to catch the trick and start over in a different rhythm, that will also have to bring in the concept of tempo as well. 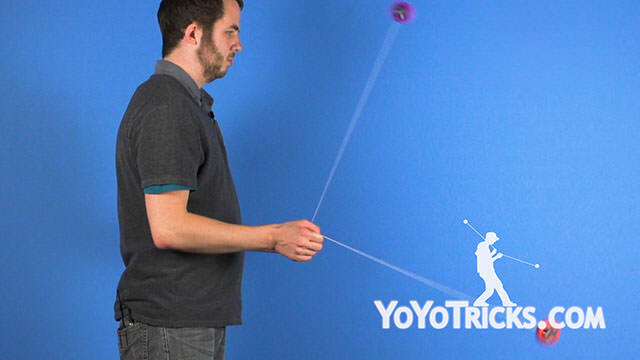 So say you are doing a trick in same and you want to go into split time, so one way to do that is just make one yoyo move in a faster tempo so that way you can get into split time or you can make a yoyo slow down so that way you go and change times as well. 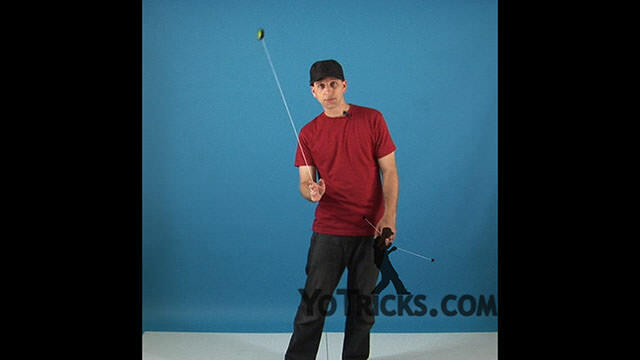 Usually, moving faster is more of the easier way to do things, but if you want to set yourself up to learning say wrap tricks or working on different concepts like your flip tricks or your shoot the moon, it is going to be pretty important to learn to resist that and actually try to force a yoyo to slow down rather than speed up because that will give you control over time and will help you learn more of the advanced concepts in two handed yo-yoing. So you may be wondering, we have been talking about rhythms in 2a in terms of same time, in terms of half time or split time and in terms of quarter time, but the question is can you take rhythms in 2a and break it up into thirds, and the answer is in some respects of 2a, is yes. Think of this example, the most basic example of thirds, think of inside loops and outside loops in the following sequence. You are going to throw two inside and one outside loop and you are going to continue to repeat that over and over again. So it is going to be inside inside outside, inside inside outside, inside inside outside. 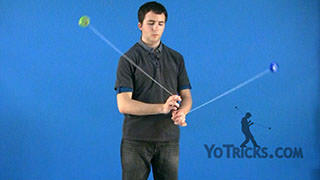 You are going to keep on doing that until you are able to do that rhythm with your strong hand and with your weak hand indefinitely. Once you are able to do that, then try to combine them together into two handed, so you can start in same and go inside inside outside, inside inside outside, … and so on. 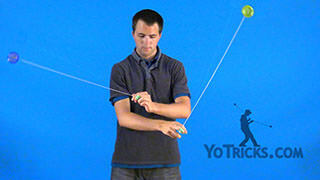 Once you are able to do that indefinitely, you can then try to do some alternating patterns with it while you are still in same time so think of it as your are going to do an inside loop, then you are going to do an outside with your right hand, then bring them back in, and then you are going to do an outside loop with your left hand, bring it back in, and you are going to continue the pattern as such. Once you are able to that, then you can start thinking about how to loop in split time while being able to maintain this thirds rhythm, so what you can do is you can think of it as your just going to be doing an outside loop, once in a while and then just bring it back in so it will be outside, …, outside, …, outside, …, outside, …, outside, …, outside, …, outside, …, outside, …, outside, …, and so on. 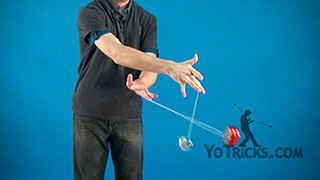 After you learned these rhythms, you can then start combining thirds together with different rhythms in terms of the yoyos and in different rhythms in terms of how you do inside outside loops and you can keep on working on that, you can do it while you are Milk the Cow, you can do it in pretty much any one step looping trick. Once you are able to do that, then you have really mastered all the rhythms there are to know in 2a, and those are the basic terminology of rhythm and timing in 2a. Once you are able to play around with thirds and be able to play with it in same time and split time loops you can then start to apply it elsewhere in all your one step tricks and i… sky is the limit, and that is the AHHHHHHH!